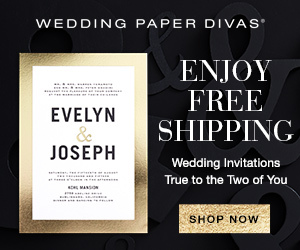 If you are having an outdoor wedding, or just want to incorporate elements of nature into your wedding party, then you may want to consider getting Natural Tree Wedding Invitations. Trees can symbolize many different things from religion, spiritual to nature itself. Trees can also symbolize an eco-friendly green wedding theme. One of the biggest symbolic connections with trees is the Tree of Life which is both a religious and spiritual symbol that runs through several religions and cultures. The wedding invitations on this page show various interpretations of trees in various times throughout the seasons, but many of them can be ordered in several colors, and also come with RSVP and other inserts if desired. 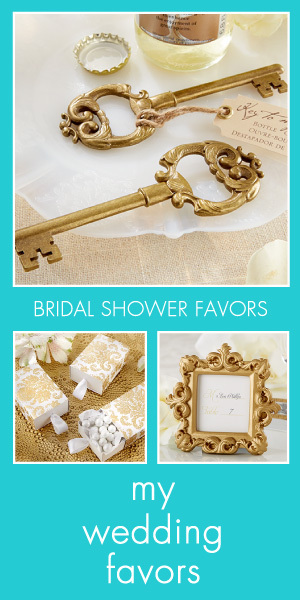 To see more choices for each invitation, just click through the links provided. 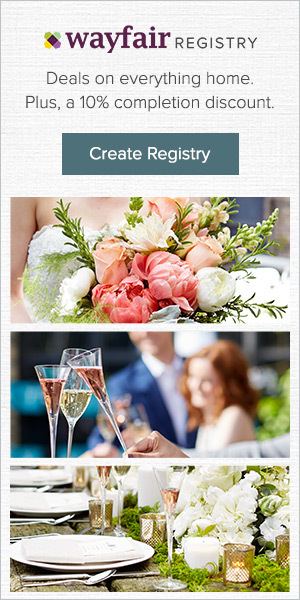 You will be able to see what can be changed on the invitation, what other options there are, and what related items can be ordered for each one. This Whimsical Flower Tree Wedding Invitation is just fun. I love the colors, and it would be wonderful for spring or summer. This invitation can be ordered in several sizes and paper choices. The Oak Tree Wedding Invitation is available in seasonal choices including an autumn oak tree. This one is perfect for summer or spring. This is a more casual look for a wedding invitation. This Rustic Country Wood Grain Wedding Tree Silhouette 5x7 Paper Invitation Card offers a cool rustic wood background for a country wedding or you can use it for other occasions. A gorgeous formal looking tree invitation that can be used for many events besides a wedding, including a birthday or anniversary party. This is available in several shapes and sizes. The Green Swirl Wedding Invitation lends itself quite nicely to a eco-green wedding presentation as well as any outdoor wedding. Really lovely. 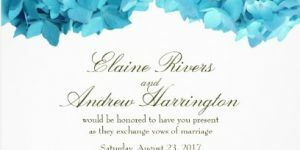 This Swirled Flower Love Tree Wedding Invitation is very similar to the one at the top of the page except that the tree is centered with a flowered background. 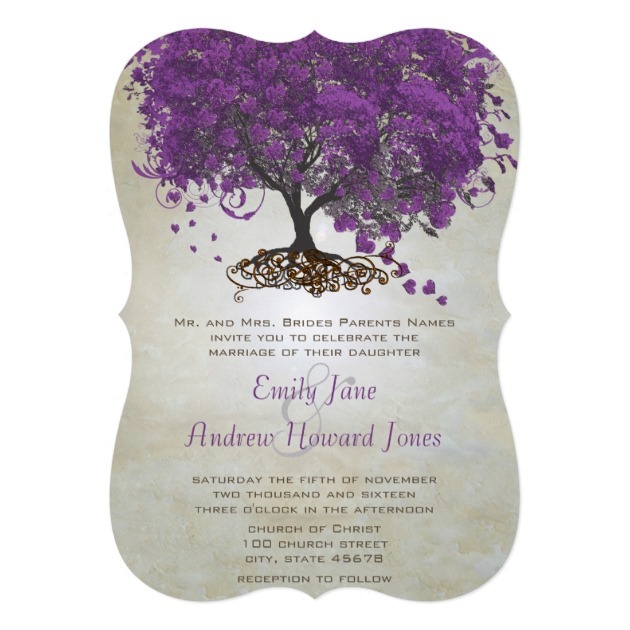 Just stunning, the purple tree makes this invitation stand out from the crowd. This Purple Heart Leaf Wedding Invitation is something that everyone would remember for a long time. Perfect for late fall or winter, this makes the winter season feel a bit warmer due to the chocolate brown coloration. 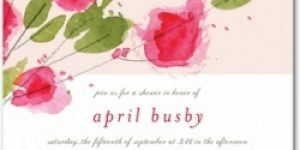 Very simple, very stark, the Blooming Branches Wedding Invitation is a classic presentation with a simple artistic touch that is perfect for spring. 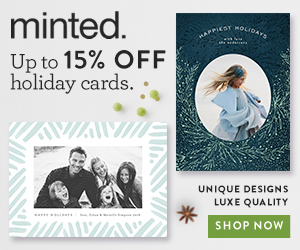 Click through to see the options available for matching inserts. 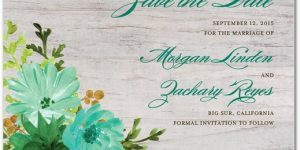 This wedding invitation has a much more vintage looking presentation and also a less formal presentation due to the color and style, and also the shape of the invitation. Very unique and unusual for tree imagery. 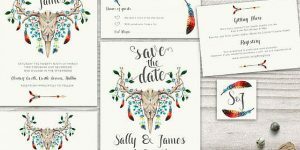 A bit more casual, this Birch Bird Tree Wedding Invitation would be perfect for winter or very early spring.